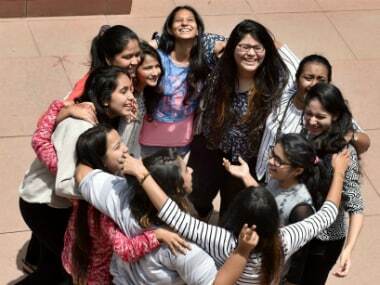 Pune: Girls outshone boys yet again in the Maharashtra Board's class X examination results declared on Tuesday, by recording a significantly better pass percentage. 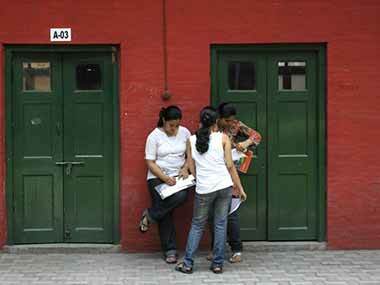 The state Secondary School Certificate (SSC) examination results registered an overall pass percentage of 88.74. A total of 91.46 percent girls passed the exam as opposed to 86.51 percent boys, Maharashtra State Board of Secondary and Higher Secondary Education (MSBSHSE) chairman Gangadhar Mahmane said while announcing the results. In the Maharashtra State Board class XII examinations also, the results of which were declared in May, girls had performed better with a pass percentage of 90.50, compared to 83.46 of boys. In the class X exams, the Konkan division topped the list with 96.18 per cent pass percentage while Nagpur division was at the bottom with 83.67 per cent, Mahmane said. The Kolhapur division registered a pass percentage 93.59, Pune 91.95, Mumbai 90.09, Aurangabad 88.15, Nashik 87.76, Latur 85.22, and Amaravati 84.35. A total of 16,50,499 students registered for the class X exams and 16,44,016 appeared, out of whom 14,58,855 passed the exams, held in March this year.